Skye Marshall is an American actress and a proud veteran of the United States Air Force. After her enlistment was fulfilled, Skye returned home to Chicago and graduated from Northeastern Illinois University, with honors. She earned a Bachelor of Arts degree, majoring in Communication, Media & Theatre (CMT Program). After graduation, she moved to New York City where she trained at Stella Adler Studio of Acting and the Broadway Dance Center. Skye resides in Los Angeles, CA. 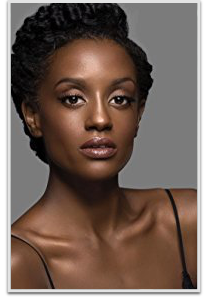 Her television credits include The Mentalist, Dexter, Major Crimes, Shameless, Grey’s Anatomy, and she heavily recurs on the new DC Comics TV series, Black Lightning on The CW. Skye also had the honor of starring alongside Sir Anthony Hopkins and Al Pacino in Lionsgate film, Misconduct.